Mouthwatering cuisine, beautiful beaches, plus friendly locals are just a few of the things that make Tel Aviv the truly remarkable city that it is. Just about an hour drive north-west of Jerusalem, Tel Aviv (nicknamed the White City) will take your breath away--whether you are religious or not. 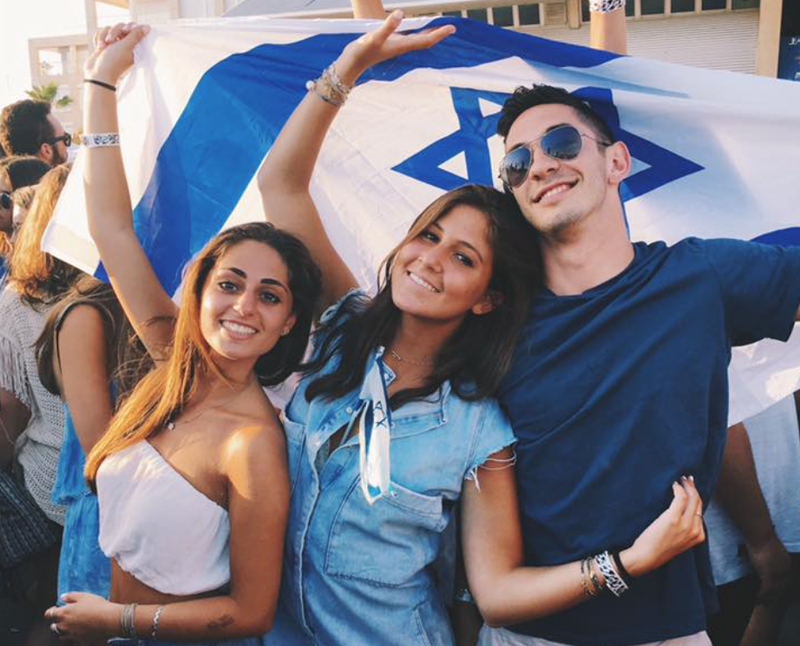 Cami Rubach, who just back from visiting her sister studying abroad, shares all of the spots that you must hit if you want to feel like a Tel Aviv local. Stay: There is a wide variety of places to stay in Tel Aviv. The Royal Beach, Sheraton, and Hilton are beautiful hotels located right on the beach. With stunning views of the water, it really doesn’t get any better. Hotel Montefiore and The Norman Hotel are great boutique options located right in the center of the city. Breakfast: Dr Shakshuka is the ideal place to go for a traditional Israeli breakfast. This restaurant has mastered the art of making the perfect Shakshuka, which is a tasty combination of a hot tomato stew and fried eggs. Make a note to try their Lemonade! If you’re looking for a spot on the port, Café Nimrod serves up traditional food from Galilee. The Israeli Breakfast for two is a highly recommended dish. Explore: A walk to the port in Jaffa is exactly what you’ll need after your filling breakfast. Around a half hour walk from the center of Tel Aviv, Jaffa is reminiscent of Ancient Palestine and perfect for exploring. Walk the cobblestone streets and feel as if you are transported into the past. Stop into some of the local shops that are hidden within the beautiful walls; you will surely be amazed! Lunch: Café Xoho is a unique lunch spot that you definitely want to try before leaving Tel Aviv. It features American classics with a Mediterranean spin and is simply delicious. They also serve locally roasted coffee, a perfect pick-me-up for the busy day ahead! For a quick bite, stop at Hakosem. Centrally located and easy to walk to, Hakosem is known for their amazing falafel and shawarma. Order and pick up your food at the counter, then find a nice table on the street for some people watching as you eat. Activity: Neve Tzedek, considered one of the “artsier” areas of Tel Aviv, is the perfect place to shop and do some gallery hopping. Shabazi Street is the central area, where you can find small boutique shops selling jewelry, clothing, sunglasses, and much more. Just Believe is a popular spot for students abroad in Israel; the personalized Hebrew bracelets are a favorite! Visit: After a few hours of roaming around and shopping, you will definitely work up an appetite. Head over to the Shuk Ha’Carmel, the most popular of all the shuks in Tel Aviv. A short ten-minute walk from Neve Tzedek, the Shuk is an outdoor market with a wide variety of produce, bread, fish, meat, and tons of candy! Be prepared for lots of crowds and hungry locals. 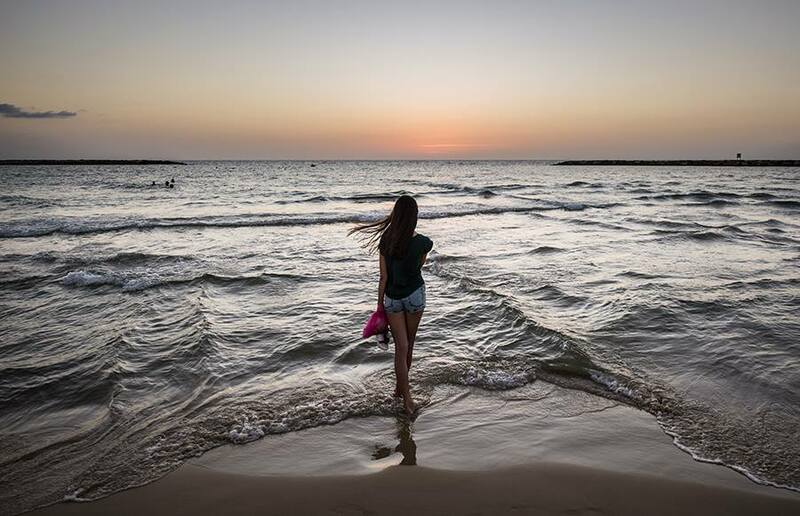 Sunset: Watching the sunset from the beaches of Tel Aviv is a truly remarkable experience. The expansive beach is lined with restaurants and bars perfect for happy hour with your friends or family. One great spot, Lalaland, is where many of the young people congregate. It serves food and drinks and is located right across from the Sheraton Hotel. Dinner: When dining in Tel Aviv, you simply cannot miss North Abraxas. Owned by celebrity chef Eyal Shani, North Abraxas is a one of a kind experience. The food is placed directly on the table as the restaurant does not believe in plates. The menu changes daily, but if the sweet potato or the pizza is available, they both must be tried! HaSalon is quoted to have the “most amazing food EVER”. Make your reservation immediately because they are only open on Wednesday’s and Thursday’s, with only two seating’s each day. For those late night fans, it is recommended to choose the later seating since the restaurant turns into a nightclub; the chef even lights the bar on fire! Manta Ray is a charming spot on the water serving fresh and delicious seafood. While nothing in Tel Aviv is too fancy, Claro is on the fancier side. The décor inside is almost as amazing as the food. Don’t skip out on the bread, as it is absolutely delicious, and try the short rib wrapped in tortellini as your main course. Nightlife: Tel Aviv is known for its lively nightlife; people party till the sun comes up! Kuli Alma is a bar located in South Tel Aviv that focuses on music and art. With projected images of vintage films and art on the walls and staircases, Kuli Alma is definitely an out of the box experience. Check out their website to see which artists are performing when you’re in town. Solo is a popular club, probably the trendiest in Tel Aviv. They bring in some of the best local and international DJ’s—it makes for a memorable night. Clara Club, an outdoor club located right on the beach, doesn’t open until the end of May each year, but it is definitely worth the wait!